ACRIA Unframed 2018 @ Lisson Gallery. 6:00 pm VIP Preview. A night of incredible art. 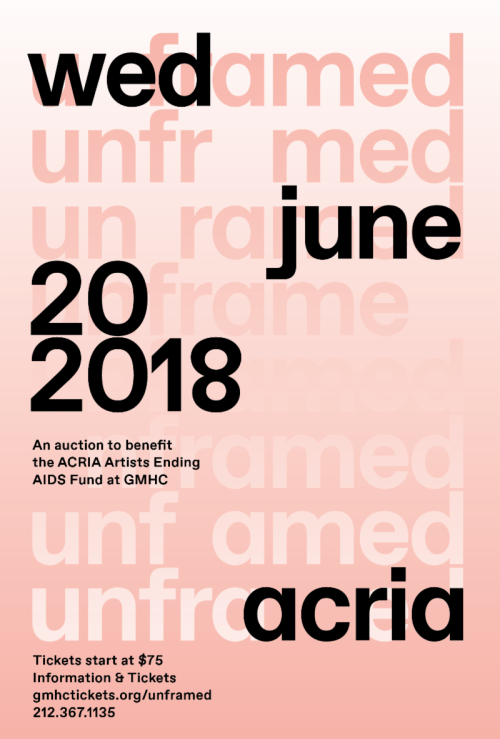 Since 1993, Unframed has raised millions of dollars towards to fight against AIDS. Hosted this year by Alex Logsdail for Lisson Gallery, this cocktail party will allow supporters to register and place bids on a curated selection of incredible art work. Tickets start at $75 for information and tickets visit gmhctickets.org/unframed or call (212) 367-1135.